Chasing away adversity and removing obstacles is the chant of the Kopan Nuns and Tenzin’s soaring voice delivering the clarion call in this traditional ceremony to invite harmony and prosperity to flourish. Learn how to create a children’s mandala with traditional metal tools. Be tutored by the expert Kopan Nuns of Tibet in the ancient craft of sand mandala. The meditative sounds of the Tibetan flute and singing bowls in combination with a yoga practice have the ability to enhance the experience. *Great liberation through hearing in the bardo* is an ancient Tibetan text. Although ostensibly written for the dead, it is in fact about life. Tenzin and the nuns invoke the teachings and imagery through profound and moving bardo chant, music and songs. Tibetan singing bowls were traditionally sacred instruments made by artisans of the Himalayas. Hear a little of their history, experience their deep rich harmonic resonance and find out why it assists with meditation. Nechung Kutun, the State Oracle of Tibet, in 2013, consecrated the Woodford Hilltop Prayer Wheel. 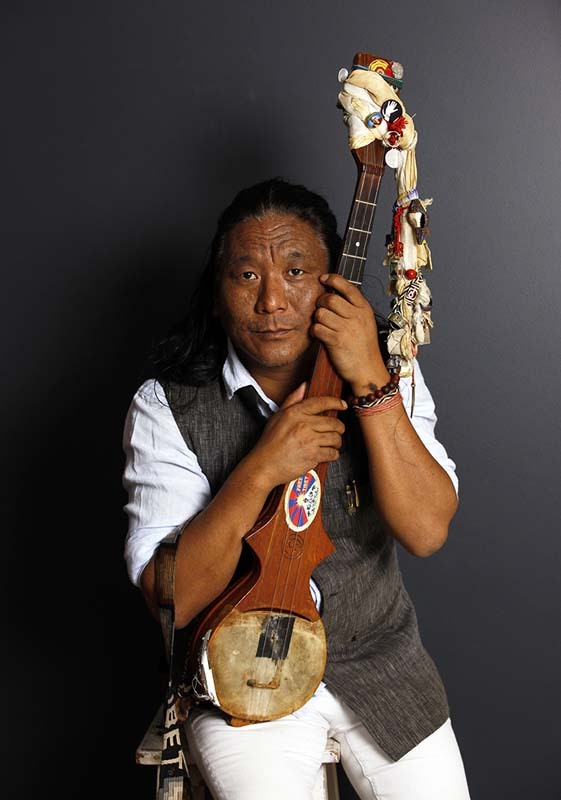 Join Tenzin Choegyal and the Kopan Tibetan Nuns of Nepal for sung mantras, ceremonial and ritual prayers dedicated to world peace at a Woodford sacred space. A concert of sacred and secular music and songs from the land of the snows, where Tibetans express their spiritual devotion and celebrate their culture through song.